Information and communication technology has changed very quickly over the past 15/20 years, thanks to the diffusion of social media and social networks. With social media we refer to the means (e.g., web-based application) of interactions among people that allow them to create, interact with, and share created-by-user information in virtual communities. 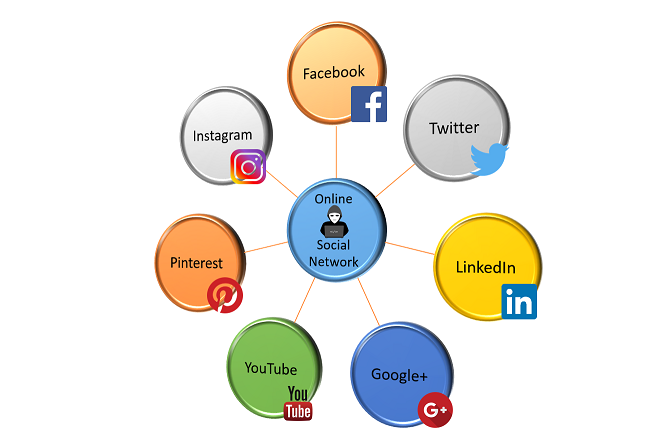 Social networks, instead, are networks of people with common interests who decide to interact with each other by building a community and sharing information and resources. The number of users of the most famous social networks is beyond all expectations. Specifically, almost a third of the world’s population (more than 2.1 billion people) uses Facebook (in the USA more than 80% of the Internet users). Social networks are having an increasing impact on the society. Among the many, they have played an important role in many political elections around the world, they are used every day by companies for business purposes (advertising), they have a fundamental impact on the privacy of people (it is well known that the disclosure of personal information on social sites can make users vulnerable to crimes like identity theft, stalking). Aside, the “fake news” phenomena is exploding, with the even quicker diffusion of unverified information. At the Cybersecurity lab we seriously take into account these social phenomena, and we are in constant alert in identifying new security threats coming from the misuse of social networks. Authentication, Authorization and privacy issues are considered, as well as unauthorized information gathering and identification of covert channels through social networking functionalities are constantly monitored, with the aim of providing a more secure sharing platform for Qatari citizens and worldwide digital population.